Here's a perfect indoor plant for a sunny kitchen or conservatory windowsill, needing little care and attention save a little water and the occasional feed. 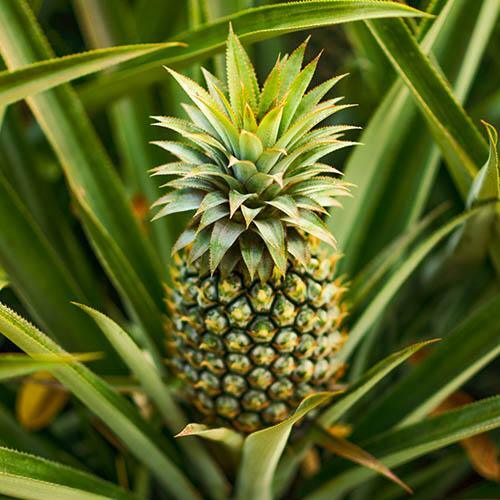 Each plant is delivered with a pineapple fruit already growing so your plant is guaranteed to fruit this year. For best results water the compost keeping it moist and also keep a little water in the cups of the leaf rosette.